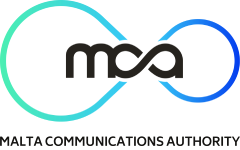 The purpose of this publication is to inform the general public on the main trends and developments in Malta for electronic communications and post. The period under review is January to June 2017. The review lists a good number of indicators for the aforementioned areas and provides a brief description of observed developments. Cut-off date for collection of data from operators to cover the period under review: 27th September 2017. Some figures may be prelimary or under review and therefore subject to change. It is advised that, in such instances, data is interpreted with caution.